I was on a quick getaway in El Nido, Palawan. I was playing with my ukulele outside our room. The sun was up, not much people were awake yet, the sound of waves hitting the shore, the birds chirping, everything was perfect. 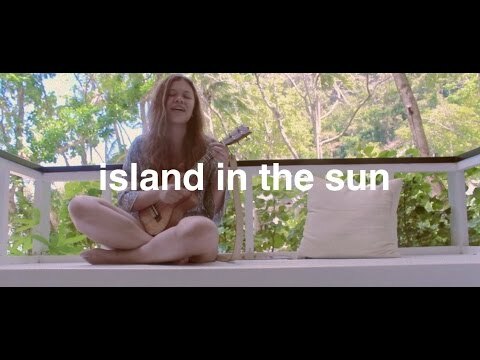 So i decided record a one take cover of the song i've been playing over and over since i got to the island. Oh, and the waves you hear is real!!! The ocean was just a few steps away from where i was. I may not have put in my best efforts musically, apologies for that. But my surroundings made me too relaxed to do so. I hope it's still worth a listen! Happy Summer Vacay to most of us! To those who are already on summer break, make the most of your time with your family and friends! Go out, get a tan, soak yourself in saltwater for as long as you desire! And to those who are still struggling with midterms, finals, or school generally. Hold on! Summer is a crawl away! my first ever time playing cello! a summer nights cover!